Now on to the Carolingian decline. The empire of Charlemagne is an empire that does not last that long. So when we say that it has certain flaws, like size, well, we already said that the Roman Empire had this flaw. We’ve already said that the Abbasid Caliphate has this flaw. But those empires are able to manage with this weakness for quite some time. Part of the problem with the Carolingian Empire is its size. 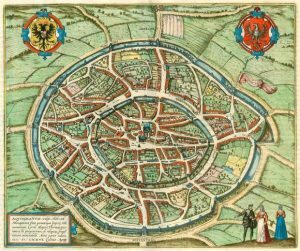 Part of it, however, as you will have read in the Fichtenau reading is its lack of infrastructure and economic development. Infrastructure in a sense of not just towns, roads, communications, but social infrastructure, the lack of an idea of obeying the state or obeying the ruler, and a tendency, therefore, to mix private and public interest, and to the benefit of the powerful. We’ll talk more about that. There are also external problems. The beginnings of the Viking invasion, which we will be talking about after the break, occur before Charlemagne’s death in 814. Nevertheless, there’s no sense hastening the signs of decline. We always can see signs of decline coming after. But Charlemagne’s rule had been so successful, so full of accomplishments, he was a ruler such prestige, that even the difficult last ten years or so of his reign can’t quite eclipse that. In 801, there arrived an elephant at the court of Charlemagne, a gift from the caliph of Baghdad, Harun al-Rashid, the caliph who figures in the Arabian Nights entertainments. This is a link between two very powerful and very distant empires, the two of the three that we’ve described as, in some sense, heirs to the Roman classical empire and civilization. There was a tentative thought of, perhaps, an alliance between Baghdad and Aachen, the capital of Charlemagne’s empire. At various times, there had been negotiations between Constantinople and Aachen discussing the possibility of an imperial marriage. The Carolingian ruler was contemptuous of Byzantium because it was ruled by a woman, the Empress Irene, a rather exceptional figure. But neither the alliance with Byzantium, at least not at this point, and certainly not the more far-fetched alliance with Baghdad came to anything. The elephant was certainly the first one seen in Europe probably since Hannibal and his invasion of Italy. And how he got there, what the logistics of his transport were, how he got to Baghdad in the first place– it’s not as if they have elephants in the natural habitat of Iraq either. Nevertheless, here’s this elephant who lives for about ten years. One of the signs of things starting to unravel in the Carolingian Empire, so some historians say, is the death of Charlemagne’s elephant, which Einhard talks about, actually, in his biography; that is, it is an event that’s worth mentioning. But pets, they don’t last forever. As someone who lost his cat within recent memory, you’ve just got to get over it. On the other hand, I can get another cat. And Charlemagne, presumably– well, not presumably. We know he didn’t get another elephant. The high watermark of his reign seems to be the year 802. This is arbitrary, but this is shown by the energy of his quarrel with the Byzantine empress over his arrogating to himself the title of emperor. This is the first person in the West claiming to be emperor, and the Byzantine Empire doesn’t like it. By 802, he is done with his two campaigns: one in Spain, and the other in Saxony and the regions of the Danube. He had pacified the Saxons after a nearly twenty-year effort. And while he hadn’t achieved his ambitions in Spain, he had seized territory in the northern part of what’s now Catalonia. He attempted to address the problem that I’ve just identified, namely the tendency of powerful people to take over and rule localities not as government servants, but as noble rulers. He, in order to combat that, tried to get every free man in his realm to swear an oath to him personally, that is to make sure that they understood that their prime loyalty had to be to the emperor and not to the count, duke, local ruler, bishop, whoever he was. And the instructions that he gave to the men sent out to try and to administer this oath show you some of his idea of rulership. We’ve talked about this already, but since it’s a fairly complex idea, it’s worth emphasizing. In the instructions, it says, “Let each man keep himself in the sacred service of God, following the divine commandment and observing whatever promise he may have made fully, to the best of his understanding and powers. For the lord emperor cannot exercise his vigilance or powers of correction over every man.” So the notion that the emperor is supposed to be responsible for people behaving themselves, is responsible for not just what we would call political order, or peace, but for the salvation of the people, for the spiritual as well as political health of the realm, is typically Carolingian, and, in a way, typically medieval. There’s a sense of imperial responsibility before God for the behavior of the emperor’s subjects. But already, a few years later in 806, this idea has been weakened. 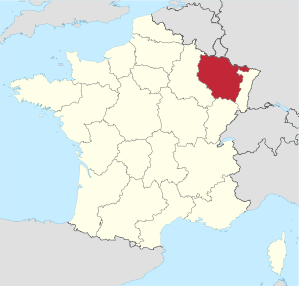 In 806– if you take a look at the first map that I’ve given out, we have a partition in 806, an agreement at a place called Thionville. In 806, he came up with the idea of dividing his realm among his three children. His son Charles would get the north, his son Pepin would get Lombardy and Bavaria, and his son Louis would have Aquitaine. In this document, there’s no mention of the imperial title, leading one to surmise that maybe he thought this title was just his personal accomplishment. Maybe he didn’t really envisage the reestablishment of the Roman Empire in any kind of permanent way. Here, we just have a kind of splitting up of land. 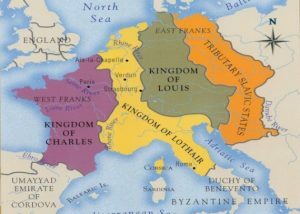 Louis gets the southwest; Charles gets the lion’s share, the heartlands of the Carolingian family, the parts of Germany that the Carolingians controlled and northern France; and Pepin gets Italy and the Alps. So here you have a contrast between 802, this grandiose imperial idea of unity, 806, just like the Merovingians, partitioning out the lands for the successors of Charlemagne. Aachen is a long way from being another Byzantium – Constantinople, or another Baghdad. And in these capitularies, the documents that are issued by the court of instructions to the administrators, we do see, as Fichtenau emphasizes, a sense of unease and of problems. Again and again, the capitularies lament corruption, maladministration. They start to mention the Vikings as more than just a minor, mosquito-bite-level distraction. But most of all, they emphasize usurpation of royal authority. Usurpation meaning, again, that the people, such as the counts or dukes or the nobles who are supposed to be servants of the crown, supposed to be his chief servants, are taking over for themselves things like taxes, revenues, the right of judgment, the right to punish people. And people are tending to look at them as their rulers. The count of Flanders, the count of Barcelona, the duke of Aquitaine, these are people who are starting to think of themselves as potentially, at least, rulers who might transmit their office to their children. And it then is not an office, it’s a possession, if you have a right of inheritance. In other words, I could transmit to my children my ten-year-old car, my silver butter dish, all of my treasured possessions, but I cannot transmit to them the professorship that I have. I can’t just say, well, my eldest son is going to be a professor of medieval history at Yale, whether or not he has any interest in doing that, because I don’t own the position. It’s not my property. It is my office. We’re so familiar with this that we don’t even think about what it would be like. Well, we actually do, because there are some things that people do tend to start to own that, originally, were not supposed to be that way. But in the medieval world, it is a problem to dislodge people from property, because most property is in land. All Yale has to do is stop paying me, and I’m no longer benefiting from this office. On the other hand, if I had a castle across campus and stored some boiling pitch and some followers, naturally, some trusty drinking mates, and had this a little moat and bailey establishment right outside of Harkness, I could terrorize Yale and extort from it. That picture is not so far-fetched. Where the picture is really not far-fetched is if you imagine Yale in ruins. People pasturing sheep on Cross Campus and wondering “God, what were those buildings, anyway? They’re really huge. And all those funny little blackboards, whatever they were for.” And then using WLH to build fortifications. Why build a new castle on the lawn when you’ve got building materials that somebody else left for you? So WLH 117, 116, 115 are one person’s fortress. And that auditorium at the other end is somebody else’s. And here I’m getting a little bit ahead of myself, but this is what’s going to happen once the Carolingian Empire dissolves, essentially. When I say to people usurp or arrogate or make hereditary their possessions, I’m talking about something that sounds abstract. But if you think of it in terms of what it means to defy people, basically, you’re talking about building castles. And this has to do with the nature of warfare. This is all a subject for the course that succeeds this one, but it has to do with the nature of warfare, in the sense that, once you have that castle, it’s very hard to be dislodged from it. The advantage is with the defense. Catapults, trebuchets, all these interesting weapons, actually, both require an insane amount of mobilization and organization and are not as effective as artillery some centuries later is going to be. 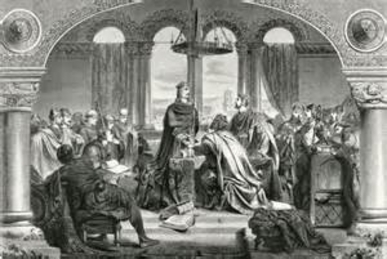 So the problems of Charlemagne’s empire– despite the invasions that will be our subject for Monday after Thanksgiving — the problems of Charlemagne’s empire are essentially internal, as was the case of the Roman Empire, only more so. These internal problems, what I’ve called the lack of infrastructure, which means political and economic infrastructure, make it very difficult, effectively, to resist the Vikings. And there are other invaders whom we’ll have to mention as well, later on, the Hungarians and invaders and raiders from North Africa. The empire was too large, given the nature of communications and the mechanisms available to impose order. The same thing that made it an empire made it have some disadvantages: diversity of population, ethnic loyalties. So you have revolts of Aquitainians who are not Franks; of Bretons, people of Britanny, who are not Franks; Bavarians; Visigoths. All of these people are not necessarily overjoyed with Frankish rule, not necessarily immune from the possibility of seizing on the weakness of the Franks to rebel. These problems become more manifest in the reign of Charlemagne’s son, Louis the Pious, who rules from 814 to 840. My hesitation in using the word rules is that he is deposed once and forced to undergo public penance twice. One of the problems of the empire was obviated, however. When Charlemagne died in 814, the succession was just to Louis because his brothers had died. So the 806 deal, or 806 plan, was not implemented and became moot. Charlemagne was succeeded by one sole ruler over the entire empire, Louis the Pious, because Pepin and Charles had died. Louis is often seen as inept but well-meaning. His sobriquet– and a lot of the Carolingian rulers now have less-flattering than Pious Charles the Bald, well, that seems a little unfair. Charles the Simple, Charles the Fat, Louis the Stammerer, Louis the Child. You get the idea. Not an imposing group of rulers. But pious, shouldn’t pious be a complement? And indeed, it could be. And, as it happens, he’s not known as Louis the Pious in every language. So in German, he’s referred to as Louis the Pious, but in French, he’s Louis the Debonair, the Imposing. He is an imposing figure, actually. He’s not as weak as what I’m going to say in the rest of the discussion about him is going to make him look. He was a very effective general. He did a lot of wars in southern France. He was the effective ruler of Aquitaine. He conquered Barcelona for Charlemagne. He suffered from three problems, however. One not at all of his own making, the second certainly exacerbated by his vacillation, and the third is just who he was. The first problem is the invasions. The Viking invasions, in particular, begin during his reign, first part of the ninth century. So it’s an external problem. On the other hand, the lack of an effective response does have to do with flaws in the nature of Carolingian rule, flaws in the nature of Louis’ rule, in particular. The second problem is his sons. His sons fought against each other and against their father. This is not something that’s new to us. We’ve seen this with the Merovingians. But in order to maintain control of sons who expect some kind of rulership and who are jockeying for power with their siblings, Louis made it worse, in part, because he had sons by two marriages and tried to carve out another realm for his youngest son, Charles the Bald, Charles the future the Bald. I don’t know that he was called Charles the Bald when he was fourteen. I actually don’t know when that title starts to come into effect. Not title, nickname. As we’ll see, these civil wars have greater significance than mere civil wars, because they’re at the origins of the breaking up of the empire into entities that we can just about start to call France and Germany. So we’re at the kind of crucible, or moment of creation, of the European order that will exist for the next more than 1,000 years. Louis had very sophisticated ideas about imperial rule. Perhaps even more sophisticated than those of his father, because Louis was quite a bit more educated than Charlemagne, quite literate, one might almost say an intellectual as well as an effective general. But he was less pragmatic, less realistic, less flexible than his father. Even more than Charlemagne, Louis believed that the emperor must answer before God for the conduct of his population. Even more than Charlemagne, he believed that he ruled over a sanctified state. In other words, he was not just a political ruler, he was, in some sense, a religious leader that the religious and the political were not to be distinguished. If the state is a religious entity, does it mean that the state rules over the Church? Or if it’s a religious entity, perhaps it means that the Church rules over the state? It can go either way. When Charlemagne was crowned by the pope, he certainly indicated a conception of rulership sanctified by the Church. He was not at all worried about the pope dictating to him. He had rescued the pope from the Roman mob. The pope was utterly dependent on him. But that is not necessarily the way things would be. And Louis had less to worry about from the popes than from his own bishops. Taking his rulership as a sacred trust seriously meant that, in 822, he appeared at a place called Attigny. A-T-T-I-G-N-Y, Attigny. In the Church of Attigny, covered with ashes and dressed in sack cloth, which the Bible describes, and which, I guess, burlap would be the best modern equivalent, so dressed in rags, literally, covered with ashes to ask forgiveness for the way in which the rebellion of his nephew, Bernard, had been suppressed. Not only were his son’s restless, but his nephew had rebelled, been captured, been blinded, and died. The blinding — maybe they knew how to do it better in Byzantium — was supposed to be a more humane alternative, rendering him unfit to rule but sparing his life. But, in the end, he died. Louis was full of remorse for this and did a public act of penance. And we know from the experience of all forms of leadership, including modern, that there are ways of saying you’re sorry and ways of not saying you’re sorry. The problem with a political officer or ruler saying they are sorry is that it may make them look weak. It may make them lose their aura of leadership. The problem with them not saying they’re sorry, in the modern world, of course, is also very great. And it’s very tricky to negotiate a line that preserves command but also gives, at least, the impression of candor. 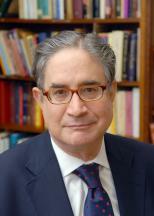 Louis does not have Charlemagne’s instinctive charisma of leadership. The penance at Attigny resulted in his loss of prestige and a great increase in the power of the Church. So there had always been an implicit danger of this, once Frankish and Christian ideas of rulership were merged. Charlemagne, as I’ve said, had no problem with this, but Louis did. Already in 829, Pope Gregory IV would claim, “is not the authority over souls, which belongs to the pope, above the imperial rule, which is of this world?” The implication here is that because the spiritual is superior to the material, in moral terms. And why is the spiritual superior to the material? This is a sort of Plato’s Republic kind of question. So which is superior, the spiritual or the material? The spiritual doesn’t die. The spiritual is immortal. That’s what makes it spiritual. That’s what the Forms, or reality, or the higher, the invisible, invisible-but-real. To put ourselves in the mindset of 829, of course we have to admit that. You may not feel that. I’m not urging this upon you as a worldview. You may think that there is no such thing as the spiritual. Or you may think that the spiritual is as mortal as the material. But in 829, people would agree, “Yeah, OK, the spiritual is superior to the material, because it’s immortal and the material withers and dies.” But does that mean that the spiritual has got to rule the material? That’s the question for the ages, at least for the medieval ages. So Louis the Pious and his sons. In 817, Louis issues an order, map number B, to divvy up the realm in the event of his death, an order called the ordinatio imperii, the ordering of the empire. This, unlike Charlemagne’s division, really expresses an idea of imperial rule. Louis associates with himself his eldest son, Lothar. And look at how big their territory is. First of all, it’s huge. It encompasses the Carolingian ancestral lands. And basically, the other sons, Louis the German, Bernard, and Pepin, are given a bunch of adjunct lands. And in fact– I’m sorry. Bernard is not his son. It’s his nephew. And this is what Bernard rebels against– the rebellion that will cause his blinding and death– is this, what he regarded as a few crumbs from the table, rather than a full share. 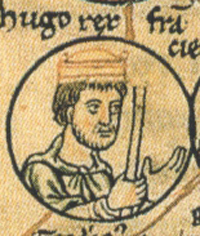 The real problem begins, however, even after Attigny in 825 when Louis’ second wife gave birth to a son named Charles, thus complicating the succession. His second wife, Judith, urged him to fit Charles into the succession, and this enraged the older sons from his first marriage. In a 829, a council met at Paris. And while Charles was given a share, the bishops of the realm also claimed a right to judge the king by his performance. In 831, a rebellion, a second or third rebellion, broke out. The sons of Louis the Pious, although fighting against each other, allied. The Church regarded Louis, now, as hopelessly ineffectual, incapable of bringing order to the realm. And Louis was captured by his sons, forced to abdicate both by the Church and by Lothar and Louis, his older sons. Lothar was so arrogant, however, that by 834 Louis had been restored. I won’t go into the complexities of this. 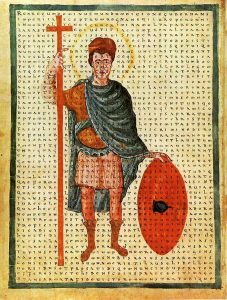 Suffice it to say that the hapless, or at least unlucky, Louis the Pious, when he died in 840, provoked another war of succession among his sons. Keep in mind that, meanwhile, the administration of the empire is dissolving, and the Viking invasions are occupying ever more attention, ineffectual attention, and plundering even more. After a series of battles and campaigns, in 843, a third partition took place. But this one is really important. This is the Treaty of Verdun. And that’s the third one on your map that I have bold or, at least, felt-tipped lines showing the division. And then, on page two of the handout, on the upper part, is the division of Verdun. The Treaty of Verdun divided the empire among the three sons of Louis the Pious, three surviving sons. The western part went to Charles the Bald. And you see that in white, Neustria, Aquitaine, Spanish March. It is what can start to be called France. The eastern part, which is the darkest– Saxony, eastern Austrasia, Alemania, Bavaria– went to Louis’ son, Louis, also named Louis — Louis the German, as he’s known to historians. And he’s known as Louis the German in part because his sphere of influence was the East, which we can start to call Germany. The eldest son, Lothar, got the middle part, which stretches from what’s now the northern part of the Netherlands, Frisia, all the way down to Rome, and even a little south of Rome, Spoleto. This is the most prestigious and, in some ways, richest part of the Empire. 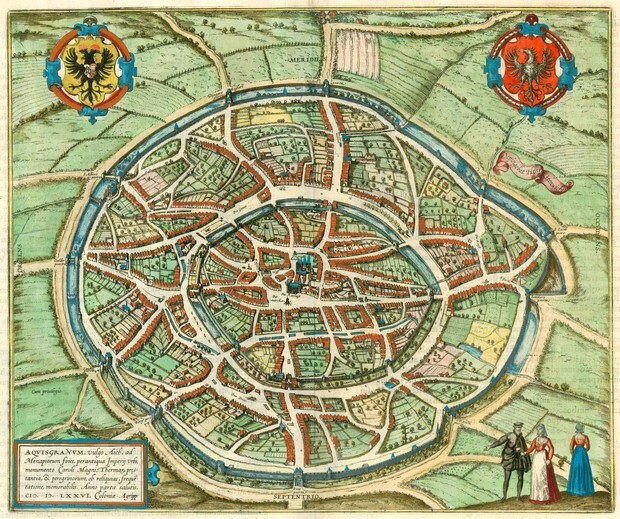 It has Aachen, the imperial capital, and it has Rome, the old imperial capital. It has the lands of the Carolingians, most of them, in the region of Aachen, in the region of the Low Countries, modern Belgium. What’s the problem with this realm? Or what’s the obvious military, political problems? It would be very hard to defend. It would be easy to cut off and invade. And if we say that the western part is France and we say that the eastern part is Germany, using these terms anachronistically but not inaccurately, what is the middle part? The middle part is all that part of Europe that has been fought over. All of World War I [correction: that] takes place on the Western Front. Most of it takes place in the northern part of realm of Lothar. The places where, like Belgium, which this day, now, is bitterly divided between French-speaking and Flemish-speaking. In other words, people who speak a Germanic language, descended from some ancestral Germanic language, and those who speak French, descended from Latin. That line runs right through Belgium. And the same ambiguity pursues this whole realm of Lothar’s down into Switzerland, a modern polity– well, modern, late medieval and modern– where they speak four official languages and are so unsure about which is the official one that their stamps give the name of the country in Latin and their airline gives its name in English. Their stamps call themselves Helvetia. There has not been an entity called that, really, in real life terms, since the Roman Empire. But that’s better than having all four language on there. It’s more convenient. So there’s a linguistic ambiguity, there’s a cultural ambiguity, and there’s a political ambiguity. Because, of course, the realm of Lothar didn’t hold up very long. Its strategic flaw was very quickly manifested. It was divided, but never permanently. Part of this realm would be called what in French is Lorraine but in German is called Lothringen. 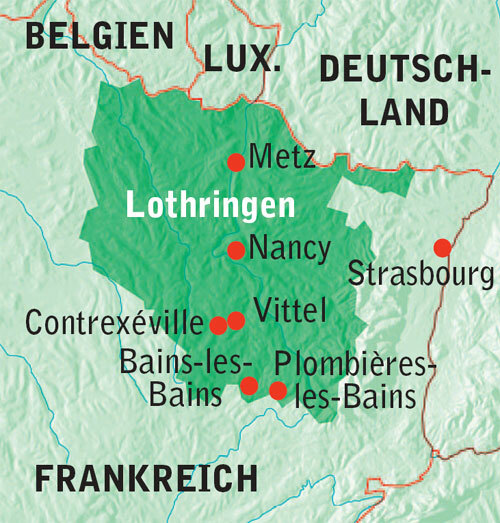 Lothringen named after Lothar. Alsace and Lorraine, these two provinces, are now France. In 1870, they were taken by Germany. After World War I, they were taken back by France. Under Hitler, they became annexed to Germany. After World War II, they’re back with France. A substantial proportion of the population of Alsace still speaks German. And until about the seventy, eighty years ago, a fairly significant proportion of Lorraine did as well. The same kind of ambiguity as to what are these territories. And in our world, they either are neither France nor Germany– hence, Belgium, Netherlands, Switzerland– or they’ve traded hands. It is not exactly accurate to say that the political, military history of Europe since 843 is simply the unwinding of the consequences of the Treaty of Verdun. But it’s not completely inaccurate to say that either. That doesn’t mean that events like the Reformation or the second world war don’t have significance well beyond that. But just in terms of border shifting and maps of Europe, the legacy of Verdun is tremendous. If the legacy of Charlemagne is, in some sense, the creation of a cultural realm that can be referred to as Europe, the legacy of the sons of Louis the Pious is the ambiguous division of that realm. What this really means, then, in ninth century terms– since nobody said, wow, we’re signing the Treaty of Verdun. This is going to have consequences for centuries– the immediate consequences were the decreasing relevance, the decreasing importance, of the imperial title. When Lothar died and his eldest son died soon after, Lothar’s realm was divided between Louis and Charles. Then, Italy was left to a son of Lothar’s called Louis the Second. He took on the imperial title. But under Charles the Bald, the third and much youngest son of Louis the Pious, for a little while the Empire was reunited. For a little while meaning, basically, two years. When Charles died in 877, the Empire would not be reestablished as unified for almost a century. And when it was, it would really consist of, basically, an enlarged Germany and a portion of Italy, not France. And Charles, although he bore, between 875 and 877, the grand title of emperor and was unchallenged within his own family, his rulership was already severely undermined by the intrigues of his nobles and the Vikings. By the time of his death, many of the counties that had originally been administrative divisions of the Empire has become almost independent. 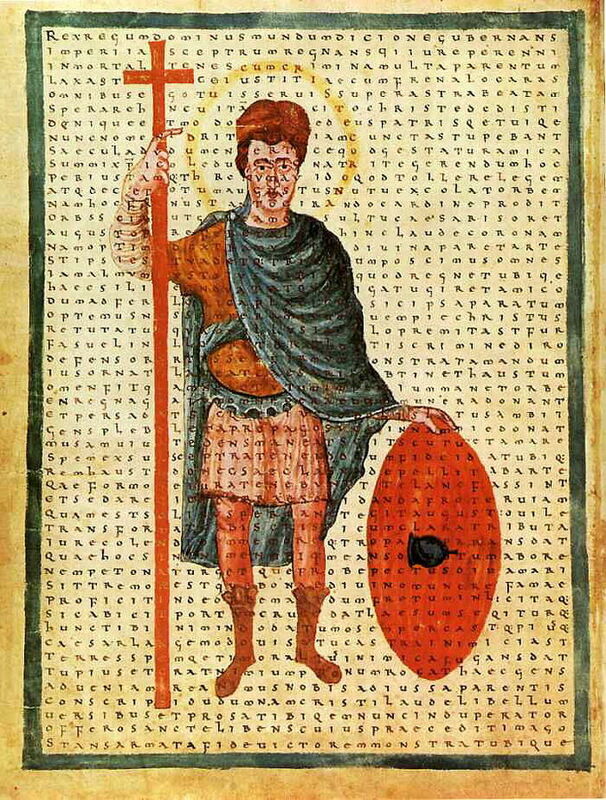 So for example, Barcelona, conquered by Louis the Pious, was now ruled after 868 by a count who paid nominal allegiance to the ruler of the western kingdom, but who was the founder of a dynasty. Up to 868, therefore, you have counts of Barcelona who are appointed by the ruler. After 868, the ruler has very little to do with it. It is a local ruler. And the count is no longer an office holder, but a ruler in his own right. Similar with Aquitaine. Similar with Bavaria. Similar with Poitou, Toulouse, Flanders. The reason that the counts are able to do this is the weakness of the central power, not only because of the personality of the ruler, but because of the inadequate nature of the administration. When Charles died, he was succeeded by several rulers in the West: Louis the Stammerer; Louis the Third, who had the good fortune of just being Louis the Third; and Carloman. In Germany, the ruler was Charles the Fat. And he was elected is emperor for, again, four years, but was pretty utterly ineffectual. And not because he was fat, I hasten to add. The Middle Ages did not share our prejudices in this regard. So Louis the Fat, in the twelfth century, was a very effective king. Fat or not, Charles, this particular Charles was not an effective ruler. All of these rulers, as I said, suffered the depredations of the Vikings. But once again, I want to emphasize that the problems of this empire, or the problems of these separate kingdoms, or, indeed, the problems of some of the counties ruled by independent counts but affected by the Vikings and other invaders, were internal. The Vikings were opportunistic raiders, not the cause of the dissolution of authority. 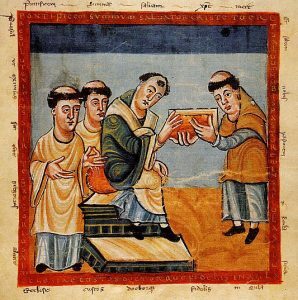 The dissolution of authority didn’t mean that the Carolingians come to an end. Because by this time, in the late ninth century, they have some of the prestige that the Merovingians had in their decline. In their veins flowed the blood of Charlemagne. They were a sacred dynasty. They had a certain kind of prestige. So for example, they would be kings of France, with some minor interruption, until 987. In Germany, the family ends in 911, and a new series of dynasties comes into effect. In 987, a new dynasty comes into rule of France called the Capetian dynasty, which technically runs out in 1314, fourteen but which is related to the French kings since. And indeed, when Louis the XVI was guillotined by the French Revolution, he was referred to in the court documents as “Louis Capet.” In other words, they gave him a kind of artificial last name and regard him as descended from this ruler Hugh Capet. Thus, a member of the Capetian dynasty. But the reality of France, and even of Germany, in the 10th century would be as a series of nearly independent principalities feuding, only nominally controlled by the kings. The ruler, Hugh Capet, who succeeded in 987, basically, he seems to have controlled the road between Paris and Orléans. But in places that are now public parks in Paris, like Vincennes, there were castles not loyal to the king at all. So my little fantasy of a fortified Cross Campus is not so far-fetched, at least not so far-fetched in terms of what really happened in places like Paris, and indeed in, for example, the city of Arles in southern France, there’s a wonderfully preserved Roman stadium, Roman sports arena that was fortified. That is, one family had the bleachers and fought against the people who had the boxes behind home plate. Not a classical term, but behind what might have been considered home plate, anachronistically. And indeed, there are towers built on top of this structure that were then demolished, because they were medieval and not classical. But they made use of these materials. So we have a society in which the power of the ruler has literally dissolved. Not dissolved into water, but certainly crumble into much smaller components. Those components being, essentially, a castle, or a few castles, the territory around it, the right to exploit the peasants around it. Maybe you would have an effective regional ruler, like the Count of Barcelona or the Count of Flanders, who would tie to himself these castellans, the people who own or run the castle. But it is a society that has become fragmented. It’s not a barbarian society. These are not nomads. They’re violent, but then again, lots of societies run on violence. It’s a controlled kind of violence. They want to squeeze the peasants, even occasionally, perhaps, plunder them. They don’t want to have them go away or exterminate them, because they don’t have any wealth otherwise. It is an exploitative society. But that, again, is not entirely new or entirely unknown in other historical periods and places. What it does bring up, however, and which I’ll try to address in our last class once we’ve talked about the Vikings, is what’s been accomplished. Here we are, from 300 AD to the year 1000, and we’re still talking about invasions. And we’re still talking about polities falling apart because they’re too large. We’re still talking about the lack of administrative control over powerful individuals.